New game with Delphi and Omega game engine. 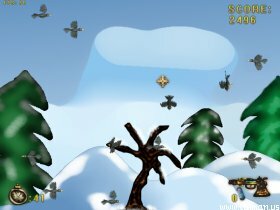 Simple aim and click game where you need to shoot as many crows as possible in given time limit. Works fine on Linux via WINE with OpenGL hardware acceleration. You might need to turn off VSync if game runs to slow.